“We wanted to give her an opportunity to drive a brand new Chevrolet and have her grow into that new Chevrolet as she gets to her driving age," said CMA's Heritage Chevrolet General Manager Jay Burchell. Officially, the car was donated to Sawyer's mother, Jamie Perkins. The family has had to travel to and from St. Jude's hospital in Memphis for Sawyer's treatments, sometimes for months at a time. Due to all the expenses, they haven't had a car for months. Now they can drive their new Chevy! 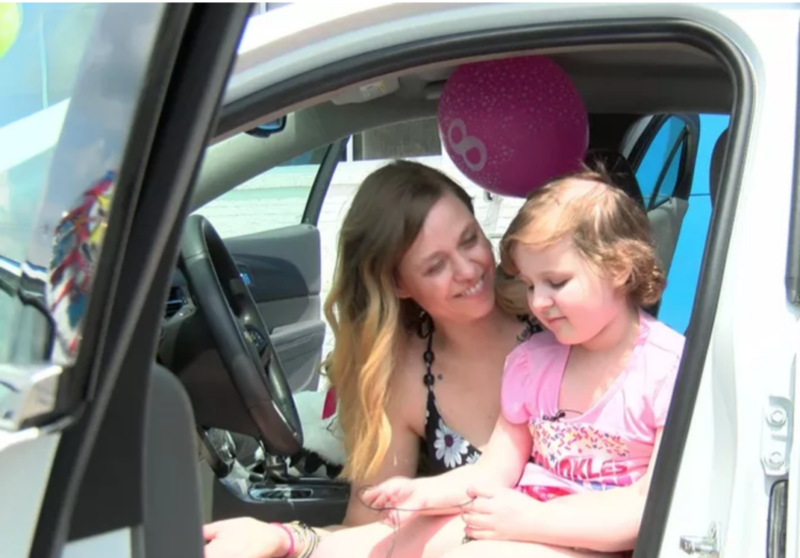 “A lot of the times we fly to Memphis, but this time we are going to be there for about three to four months, so we'll get to take this car with us…we can go and do fun things when she's not in treatment,” Jamie said. CLICK HERE for coverage of Sawyer's birthday on NBC12.